What a way to kick off the list. 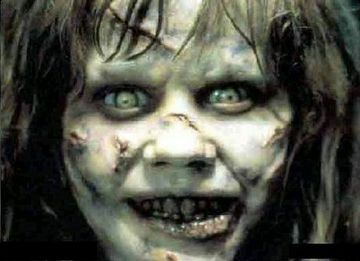 Easily one of the most terrifying women in Horror, Regan's character in "The Exorcist" still gives me chills. I don't think Mrs. Voorhees gets enough credit for "Friday The 13th". A deranged woman avenging her sons death by slaughtering the entire staff of Camp Crystal Lake. We all know Samara from the American remake of "Ringu" ("The Ring") but it was the Japanese original that scared me more. If you haven't watched it I recommend you do. 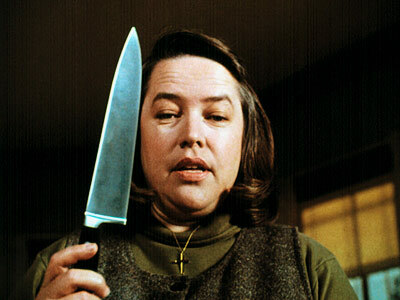 Ah, good old Kathy Bates, she sure does love her Misery! Kathy's character is easily one of the creepiest of King's characters, no supernatural here, just a crazy woman. Lola is from the recent film "The Loved Ones". What a great character she is and certainly deranged. A truly scary character from a great film. Esther from "Orphan" is a great character that had a great twist I never saw coming, very disturbing. You need to watch it! Ah our beloved Bride, Elsa Lanchester certainly scared me as a child, looking back I don't know why but she still gives me the creeps to this day. 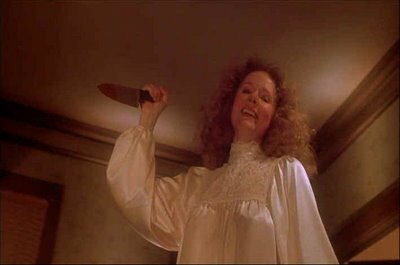 There's no doubting the impact the character Carrie had on the genre but it was her mother that scared me more, Piper Laurie certainly did a great job. Anyone who has seen "Haute Tension" will know why Marie is on the list, a mad character that messed with my head throughout the film and certainly made me anxious. Another Japanese entrant, "Audition" is not a film for the squeamish and the character of Asami should be in any list of frightening women in Horror. Mandy Lane - "All The Boys Love Mandy Lane"
Zelda Goldman - "Pet Semetary"
May Dove Canady - "May"
Have I missed some characters? Most probably but these women truly sent shivers down my spine. Who's your favourite evil Female character?